The Business Benefits of a Hyper-Scale Elearning Development Model are Simply Unmissable. Train and retrain employees, the way they love it. At Forward Eye, our approach to accelerating enterprise growth is based on 3 impact points- customers, employees and the enterprise. Towards this, we offer a hyper-scale learning and development outsourcing model to maximize learning transfer and on-job performance. We design high-impact, short learning nuggets that are targeted to fit busy work-lives of your employees. 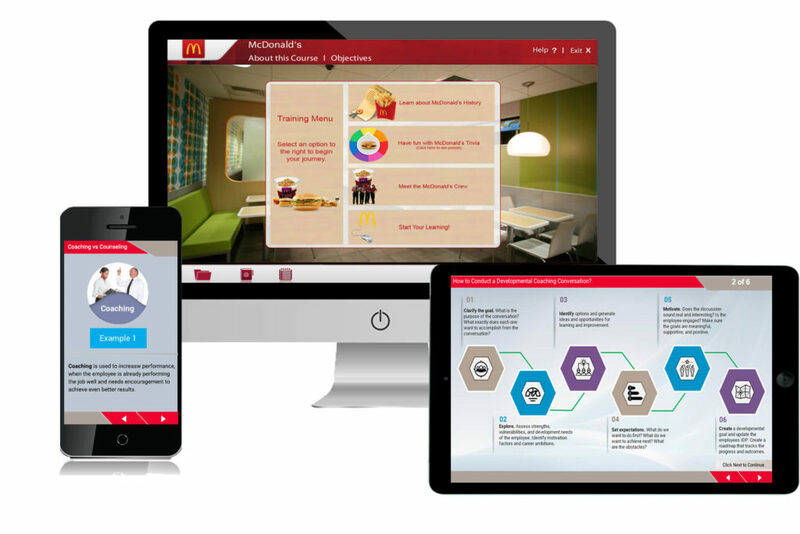 Our bite-sized microlearning courses are tailored to impact your learners and help achieve targeted training outcomes. Like we said, ‘Engagement Over Exposure’. We will design engaging, high quality video that will immerse your learners in the overall experience. From customized explainer videos, animated whiteboard videos, to brand mashups, we evaluate your business need to identify and design the best video solution that solves the challenge at hand. Have you invested in designing Flash courses and libraries over the years and decades? We will help you revive your investment in legacy Flash libraries. With our ‘hyper-scale learning development’ model, we will help convert your Flash courses into HTML based courses, with minimal cost and an highly optimized development process. ‘Meaning Over Media’, is our approach to visual media designing. We use a variety of animation techniques to illustrate complex topics in more meaningful ways for a learner to understand. From simpler animations to complex animations, we will design visuals that deliver meaning to your learners. Let us show how hyper-scale works for your next learning project. Contact Now.